Go! Getter Robot! Supervised by Dynamic Productions and rearranged by Chemical Attack, the design presents breathtaking volume and wonderful action. The Riobot Shin Getter 1 Action Figure is massive and powerful! Clear parts are widely adopted to reproduce internal mechanical structure. And the weightiness offered by the use of die-cast materials is another highlight. 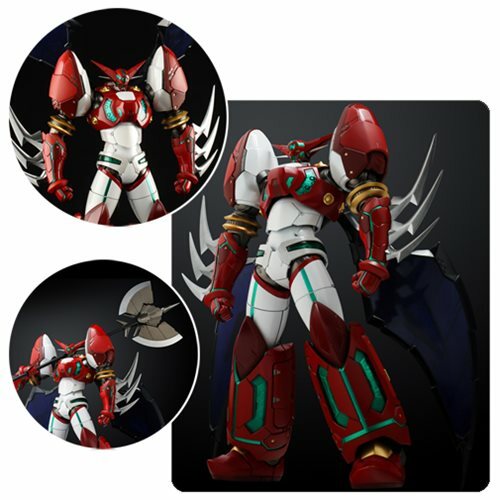 This Riobot Shin Getter 1 Action Figure is a must have for Anime and Manga collectors. Measures about 7 9/10-inches tall. Ages 15 and up.